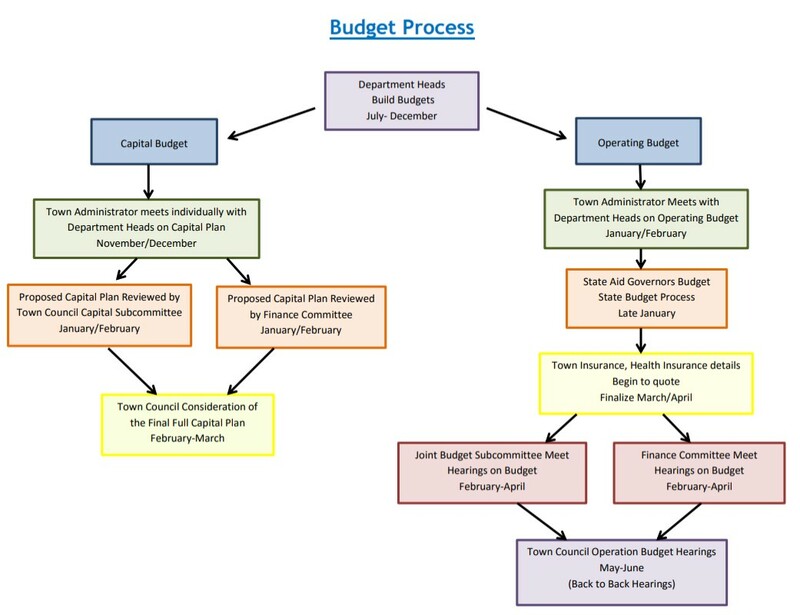 "As you know, the Town Council meeting on March 13th will be to discuss the fiscal challenges the Town faces for FY20 and beyond. The School Committee is scheduled to vote on a proposed school budget on March 12th. The Finance Committee will be beginning their FY20 budget review on March 18th. At this point in time, with final revenues still unknown, a " level service" municipal and school budget would require about an additional $2,000,000 in revenue . "Level Service" budget is to provide the same level of services that are currently being provided this year. We are currently recommending an increase in the School budget of $1,200,000 for the coming Fiscal Year 2020, staring on July 1st. Unfortunately, this means the school "level service" budget will be short by about approximately $1,500,000 and the Superintendent's recommended budget by $2,640,000. It is important to note these numbers are still in flux due to final state budget numbers, charter school enrollment and health insurance figures. We do not have a clear revenue number yet due to the expansion of the charter school. They are projecting an increase of 258 students overall, from the current capacity of 450 to a maximum of 708 in FY20 and eventually phasing into a maximum capacity of 900 in future years. The Charter School will also be expanding eventually to K-12 from its current K-8 grades. As of this letter, 212 Franklin students have applied from a pool of over 600 applications. A lottery will be held and the actual r;iumber will be known later in March . This will lead to an amended proposed state aid number that will be include in the House of Representatives budget, which generally is made public in mid-April. Our current guess is that Charter School will divert about $1,000,000 from our state aid. Since the final number is determined by a lottery, this estimate could go up or down based on the lottery and how many students who were accepted through the lottery and accept a seat.. The funds for the Charter school are deducted from our Chapter 70 School aid amount . In total, the Town stands to lose local aid for education from the state budget this year, relative to this year. The charter school funding issue has been a problem for years and the legislature has not yet properly addressed the issue. The bottom line is that the School budget will be less than what is needed to provide a level service budget, let alone the overall vision for the school district as outlined by the Superintendent and the School Committee. We have written to our legislative delegation for years regarding changing the state formula to be less punitive to public school districts, but the law has not changed in 26 years. We will adjust our recommended school budget based on the House budget in April. The final state aid is not usually known until July and further adjustments can be made by the Council once the information is known. The current revenue projections for future years do not provide the funds necessary to support municipal and school operations at its current level. An override will need to be considered for FY 21 to properly fund school and municipal services. There are currently a lot of moving parts, including but not limited to, the final FY20 state aid amount, future changes to the education funding formula (if any), continued growth in Franklin's population, aging population, school enrollment, increased demand on public services, just to name a few. The bottom line is that virtually every department in town is seeing increased costs to do business and a substantial increase in demand for services. Every department has seen an uptick in requests for services from record breaking public safety calls to more demands on the DPW to maintain our property, fields and roads, higher facilities costs, more customers at the Senior Center and Library, let alone recruiting and retaining the best staff. The amount of an override is ot known at this time, but something in the $4 -$5 million dollar range may be needed to maintain appropriate school/municipal services next year. Again these figures will change once more information is available and the Council and School Committee can discuss the matter this fall. We are happy to answer any questions and hope this meeting in March will begin a community wide discussion. 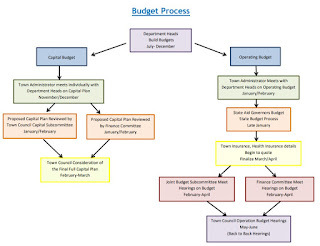 The Town has a website with all finance & budget related materials to stay in touch with the latest information: https://www.franklinma.gov/town-budget"